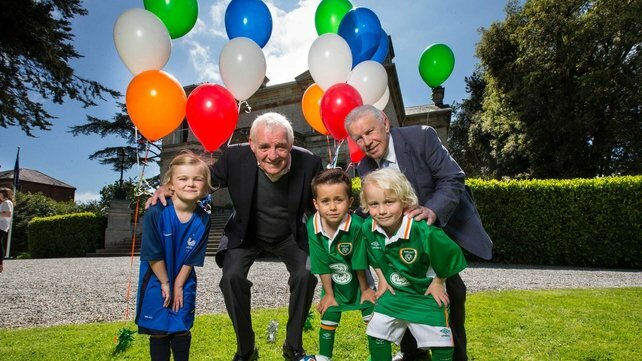 RTÉ Sport today unveiled full details of its comprehensive Euro 2016 coverage across TV, radio, online and mobile. RTÉ 2 will have exclusive live coverage of 20 group games, five round-of-16 games, two quarter-finals and both semi-finals, as well as shared live coverage of the final itself. Coverage begins with France v Romania on Friday 10 June and includes all three of the Republic of Ireland’s group games against Sweden on Monday 13 June, Belgium on Saturday 18 June and Italy on Wednesday 22 June. In addition to the television coverage, RTÉ Radio 1 will have all Ireland’s group games live, while RTÉ Player will also cover the matches live along with press conferences, highlights and analysis. A dedicated-Euro 2016 website also launches later today (www.rte.ie/euro2016) and will provide live text on every game in the tournament and all the latest from the Ireland camp, along with columns from the RTÉ Soccer analysts. 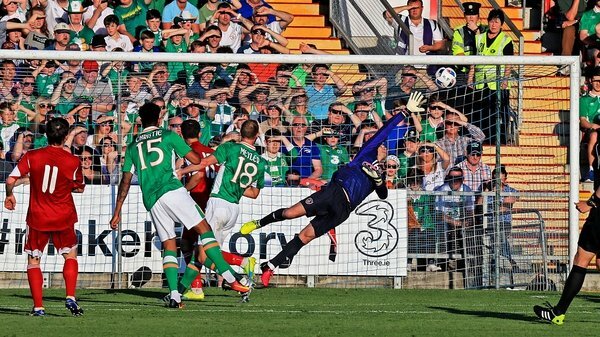 The RTÉ Soccer podcast The Panel will also run throughout Ireland’s involvement, available on Soundcloud and iTunes. Darragh Maloney will anchor RTÉ2’s live coverage with Peter Collins also presenting. Damien Duff joins the famous team of panellists including John Giles, Eamon Dunphy, Liam Brady, Richie Sadlier and Didi Hamann. 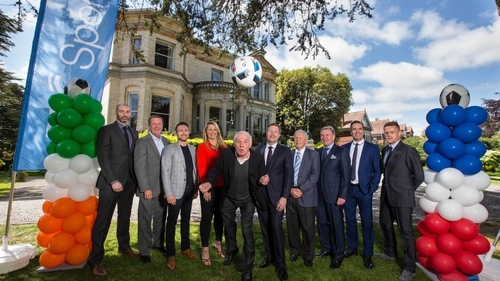 Ray Houghton, Ronnie Whelan, Brian Kerr and Jim Beglin are on commentary duty alongside George Hamilton, Ger Canning, Stephen Alkin and John Kenny. Adrian Eames and Brian Kerr will describe proceedings on radio. Each evening RTÉ2 will have a full highlights programme presented by Jacqui Hurley and Aidan Power with panellists including former Ireland internationals Kenny Cunningham and Clinton Morrison and current Irish Women’s internationals Stephanie Roche and Niamh Fahey. Joining RTÉ Group Football Correspondent Tony O’Donoghue on the ground in France will be Dave Kelly and Daire O’Brien, with all three reporting from the Irish camp, as well as giving a flavour of the Ireland fan experience in France. This year’s coverage will also see Irish language commentary available for TV viewers and of course Après Match will be along to give their inimitable take on events throughout the tournament. 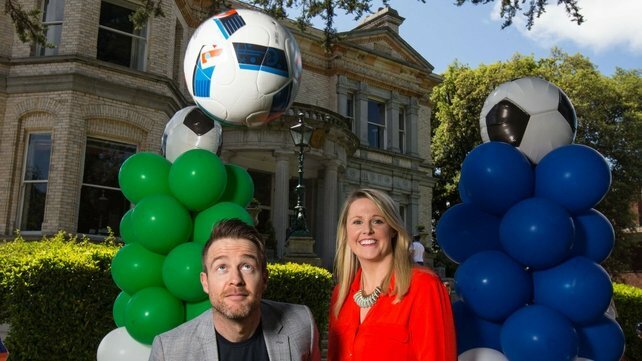 RTÉ Player's Euro 2016 hub will include documentaries, soccer skills videos from Irish freestyle YouTube star Dara Coyne and 'The Road to France' collection, featuring all 12 of Ireland's Euro 2016 qualifying matches. RTÉ Player, in collaboration with the RTÉ Concert Orchestra and the New Dublin Voices, is also creating a video celebrating the Irish fans' favourite songs. Ryle Nugent, Group Head of RTÉ Sport, said: “2016 is a huge summer for Irish sport, with the GAA Championships already underway and the Olympics, Paralympics and European Athletics Championships to come, and we’re delighted today to be able to announce full details of all of our UEFA Euro 2016 coverage here in such appropriate surroundings. “RTÉ Sport once again offers Irish viewers the most comprehensive coverage available live on TV, radio, online and mobile with the best punditry and analysis around, and all the colour and atmosphere on the ground in France."